Details About Our Shoes || Get Our Latest Catalog || E-mail us! 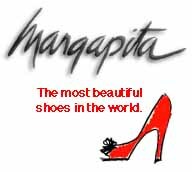 Welcome to the Margapita home page! 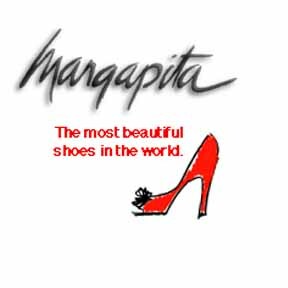 Since 1979, we've searched out the most beautiful shoes, boots and bags in the world. We've brought them together in our boutique in The Galleria in Fort Lauderdale, Florida... and in the pages of our catalog... and now on your computer screen! So if you can't visit us in person, visit us on these pages. We'll tell you what looks good (and bad) this season... what the hottest Italian, French and American shoe designers are doing... how to take care of your satin high heels... and lots more!